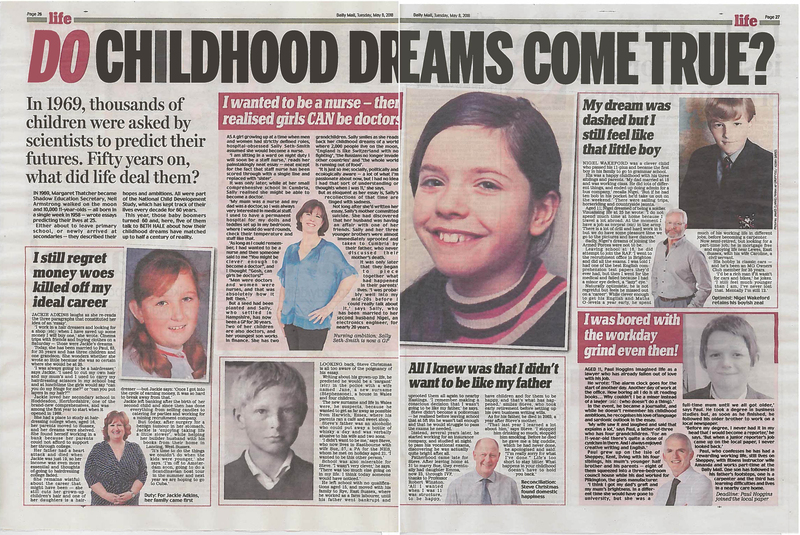 NCDS study members, Steve, Sally, Claire, Jackie, Paul and Nigel spoke to CLS about the essays they wrote when they were age 11, and how their lives have unfolded since then. Their stories were featured in The Times, Daily Mail and Daily Express. In 2018, these children, and the study turned 60 years old. We contacted a number of the study members to share their essay with them and to see how their lives have unfolded. For most, this was the first time they had seen their essay since they wrote it some 50 years ago.